I’m back after 3 blissful weeks spent in Atlanta, Georgia. As the late, great Ray Charles sang “Georgia on my mind”. It is very much on my mind: the sunshine, dear dear friends, biscuits and gravy, sweet tea. I could go on and on but it won’t get me over my holiday blues any faster. I left Georgia and it was 33 degrees. I arrived into a wet, grey and decidedly autumnal Paris of 13 degrees. I was tempted to just take to my bed and stay there but as is the way when away for 3 weeks I had no food in my fridge. I was too depressed to go food shopping so I decided to dine solo at Clasico Argentino. I found this place in early August and decided to post a picture taken then. Even the blue walls looked too sad on Saturday night to take a picture! 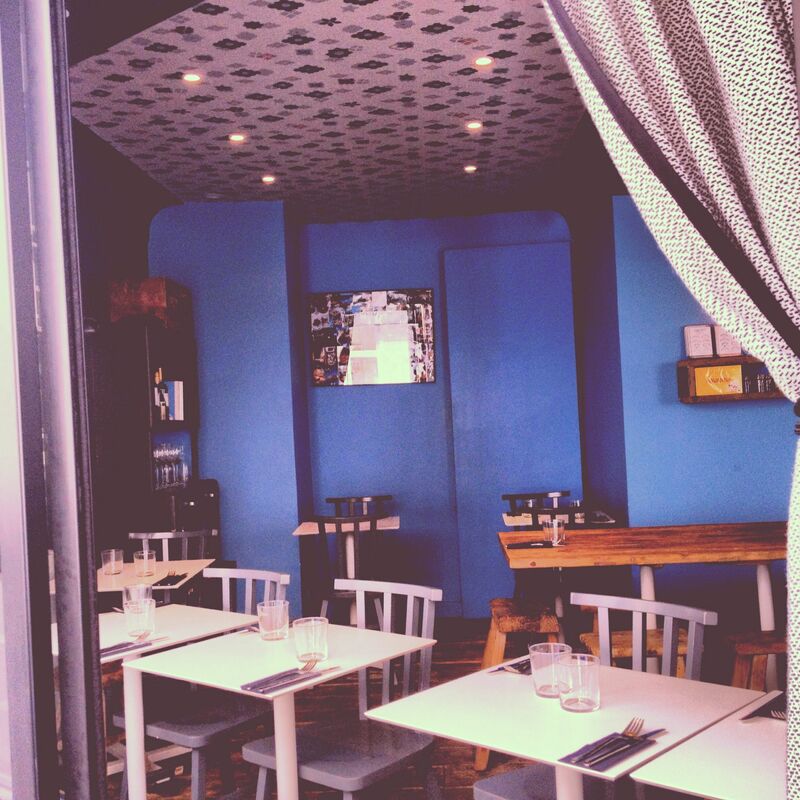 Clasico Argentino has 3 outlets in Paris and they even deliver empanadas to certain arrondissements – sadly not mine! 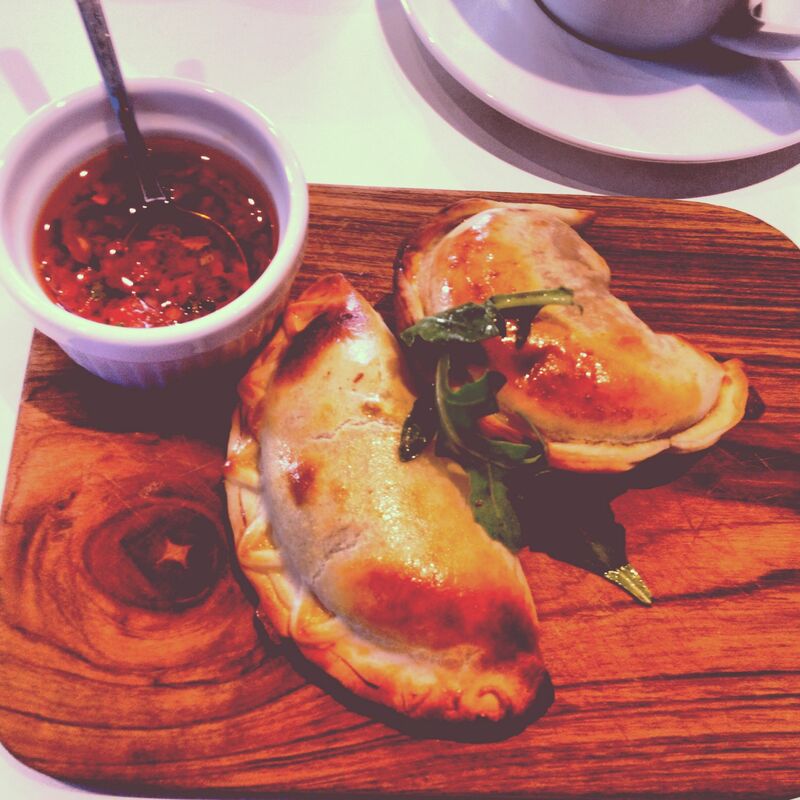 Empanadas – these wonderful, pastry pockets of gorgeousness stuffed with meat, fish, cheese etc. Given how blue I was feeling this Argentinian delicacy was just what I needed. They have a great little selection of wines and one of my favourite Malbec! However, I am on the wagon. After 3 weeks of drinking and then some! I have decided to give my liver a rest and be good. Luckily for me, Clasico serves Mate – Argentinian green tea that is suppose to clean away all toxins, flush in goodness, make my blood more aerated and give me a sunnier disposition. I am making all that up apart from the toxins. It is a little bitter, a bit like green tea but I did feel very virtuous drinking it. 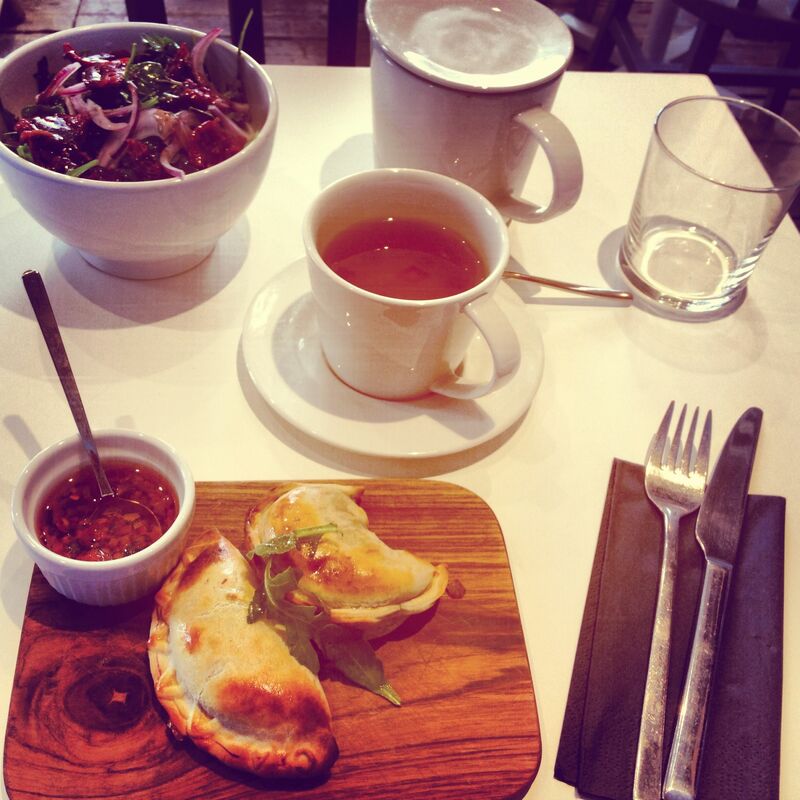 I ordered a couple of empanadas: spinach and one meat along with a mixed salad of rocket leaves and sun dried tomatoes. Completely technicolour and quite healthy looking. The presentation is just wonderful. Everything comes served on wooden boards. Just looking at the picture below, I am salivating all over again! I savoured every single mouthful of my pastry delights whilst sipping my green tea. I looked longingly at the couples sitting at the other tables laughing and joking over their glasses of Malbec. However, I am going to be good although I am not sure how long I can stay on the wagon for if this grey and drizzle weather carries on in Paris. Dessert here is to die for. They make their own ice cream and they have a special empanada filled with vanilla ice cream and dulce de leche which is an explosion of pleasure in 4 mouthfuls. However, carrying on my virtuous, almost saint like behaviour I decided against ordering dessert. I truly wanted to experience the explosion of pleasure but the jeans are a little tight so I am going to postpone that pleasure for a month’s time. I had a great time here, the Clasico I went to was in the 3rd arrondissement and is very popular. Lots of people stopped in to collect their orders. There are a few tables outside and about 10 inside along with a big table for a large group. It is convivial and nobody rushed or stared at me. I actually rushed myself as otherwise I would have sat and ordered more and more of those pleasure puffs – oops I mean empanadas – and would have had to be rolled out of there! My remedy for getting over holiday blues and grey, wet Paris! My virtuous – no sugar or booze meal came to a very reasonable €18. Empanadas cost €4 a piece or you can order a discovery set menu.